These are sample menus from April 2018. We change our dishes often, so please contact us if you would like a menu emailed to you. 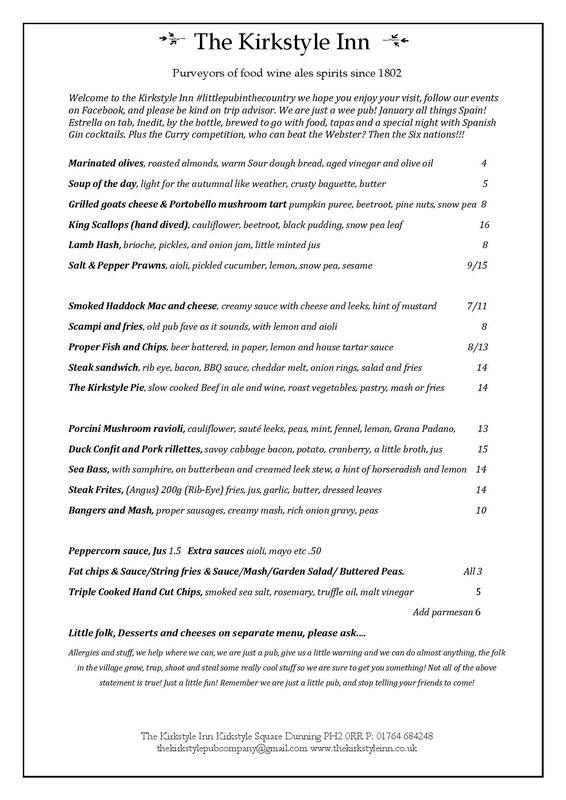 Welcome to our new menu, all of our bar bites and lunch menu have moved onto 1 menu! We have lots to choose from! 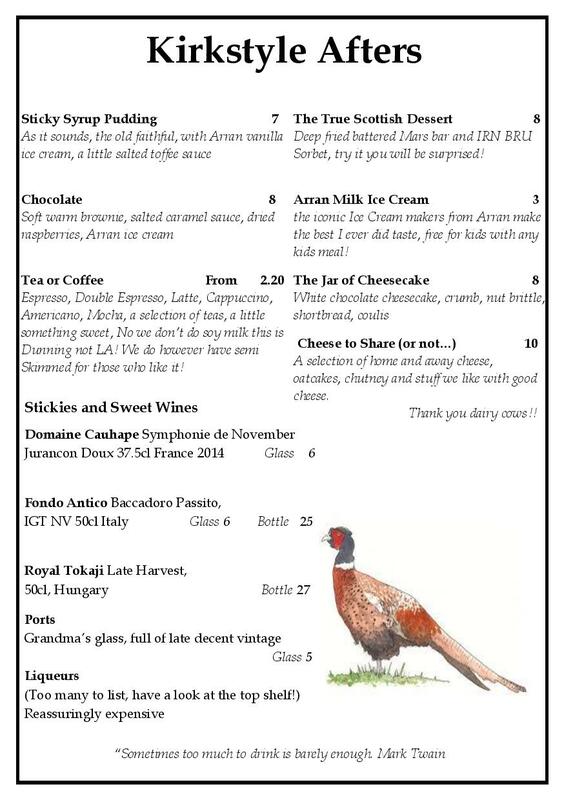 Small meals and starters, hearty pub food, some fancy dishes and best of all, our Dessert menu with our sweet wines! Not to mention our daily specials that are always on our blackboards! DUE TO HIGH DEMAND FOR FOOD IN OUR #LITTLEPUBINTHECOUNTRY … OUR KITCHEN WILL NOW BE CLOSED BETWEEN 4pm-5pm SATURDAY & SUNDAY. 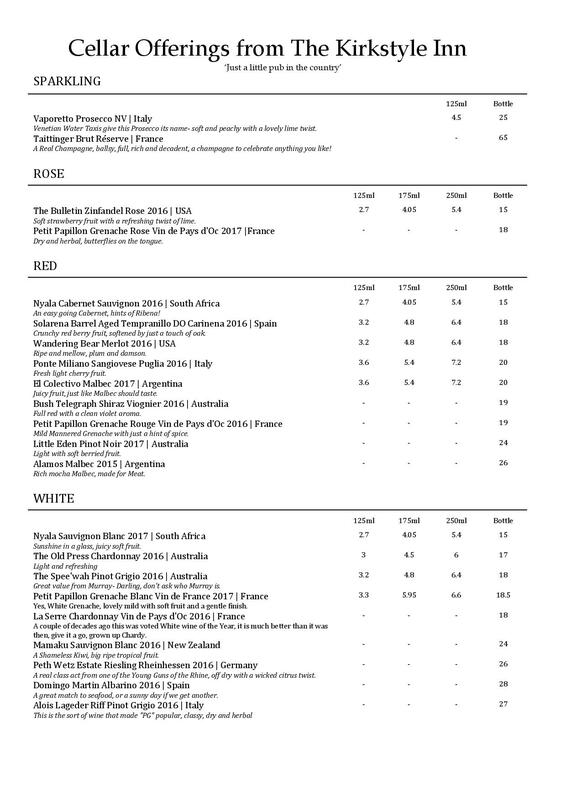 We have lots of wine from all over the world, why not indulge in some of our delicious food whilst having a glass of wine from our well rounded wine list!? Why not come and try our Malt of the Month? We have lots going on, constantly changing old for new!